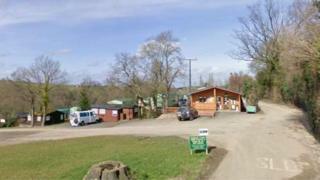 An equestrian centre has reopened after an outbreak of horse flu led to a closure of almost two months. Sixteen horses at Bank Farm Equestrian Centre, in Arley, Worcestershire, had the virus in early February; one of five affected sites in the county. Owner Angie Bloomfield says the outbreak has been "devastating" and has cost her £25,000. Nationally, equine flu caused a six-day horse racing shut down in February, with 174 stables placed in lockdown. Ms Bloomfield, who has a total of 24 horses, said: "It's the first time I've ever had anything like this before. "The reality of it when you come down into the yard and you see the horses all with their heads down, looking quite sick to be fair, it's just a quite depressing state of affairs." The centre posted on social media that from Friday, selected horses were "ready to go", with others set to follow them back to work. The message added that customers bringing their own horses to the centre must ensure their animals' flu vaccination.